Nickel-cadmium battery is workable despite what weather you’re in. It saves you money, is easy to store, has a high rate charge and discharge, but limitations exist such as one cannot let them be completely discharged, and you may need many cells to achieve high voltage. You can check the car battery using a voltmeter and by using power probe. The normal car battery life is four years, and battery gets discharged even when not in use. Using this kind of battery has many benefits. In this article, let’s look at what are the Nickel Cadmium battery advantages and disadvantages. The composition of the nickel-cadmium batteries is such that the cathode or the positive electrode is made up of nickel hydroxide, and the negative electrode or the anode is made up of cadmium. The electrolyte is potassium hydroxide. Now that we know the chemistry behind a nickel-cadmium battery let us look at the advantages of using them. 1. The first advantage of Nickel-cadmium batteries which lithium-ion batteries do not have is that they remain functional and in good condition no matter how hot the weather may be. 2. Plus, you do not need to spend a lot of money to maintain the battery, and it is easy to maintain. It is not delicate and does not leak easily. This means these batteries can be given any orientation and do not need to be kept in an upright position at all times necessarily. 3. When you want to store these batteries, then they stay as it is and undergo no deterioration. Even in a discharged condition, there is no loss that occurs and their physical composition does not change. But a point to be noted is that these batteries will be harmed if you let them be completely discharged. So, for optimal usage, one should use them in a device and when the device registers that the battery is low, then charge the batteries so you can start using them again. 4. When you charge them, then they do not emit oxygen and hydrogen. You can charge them many times, approximately for around 500 times. 5. Lead acid batteries need a lot of care when the deep discharge is taking place, but that is not the case with Nickel-cadmium batteries. This is because the metals that this battery contains in the electrolyte are inert. 6. These batteries are capable of high rate charge and high rate discharge. 7. These batteries can easily withstand inner pressure and are inert to external damage. 1. However, these batteries do have their limitations. For instance, the batteries need to be completely discharged often so that they work to their full potential. Plus, cadmium waste is hazardous, and these batteries can, therefore, not be thrown in landfills or with garbage waste. Their environmental impact is bad. 2. Once these batteries are left in storage, they get completely discharged and need to be charged again from the beginning. 3. This is primarily low voltage, and you would need many cells to make these batteries high voltage. Switch off the car. Check the battery, and you will find two leads – one red, which is the positive lead, and the other negative. Detach the positive terminal. Attach the positive lead of the voltmeter to the positive end of the battery. The negative end of the voltmeter should be linked to the negative battery terminal. Now, check the voltmeter readings. A reading below 12.2 means you need to trickle charge the battery since the battery is low. If the voltage is too high, i.e., above 12.9 volts, then switch on the lights on high beam. That is the first way, but if you want another way then again step 1 remains the same. Remove the cover of positive terminal. Attach the positive and negative leads of the power probe to the positive and negative lead of the battery. Read the digits of the power probe to check voltage reading. Readings between 12.4-12.7 mean normal battery which needs no charging. If you were to discover how many miles can a car run before it needs charging, then the answer is about 300 miles. Usually, the battery should work fine for 4 to 5 years before it starts showing wear and tear. This is the normal battery life, but it is subject to conditions. What are these conditions? These conditions are how many accessories you are using on the car such as GPS, temperature conditions, and vibrations which shake the battery. Some batteries come with the packing wherein temperatures do not affect the battery and vibrations and lose battery set up is in your own hands, for example, avoiding bumps, and speeding over speed breakers. Your style of driving matters, too. Without driving too, you can harm your car battery. Why does this happen? 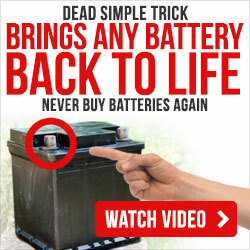 It happens because every battery is naturally designed to lose charge over a certain period. Plus the electronics in the car such as the stereo and clock draw in from the battery even in switched off condition to retain memory. Therefore, when you are not driving, then your car battery is getting discharged. To avoid this from happening, you should start your car every day for a few minutes even if you are not planning to go anywhere as that is good for the condition of the battery. Getting a maintenance charger is our next tip. This will ensure you that your battery stays in good condition and this works great when you are planning a month-long trip, leaving the car behind. Also, short trips such as going to the nearby grocery store which is a start and stop trips. These are bad for the battery. When it is either extremely cold or extremely hot, then that is not a good time to take your car for a spin. Last of all, always check for battery maintenance. This involves checking battery terminals for corrosion and loose connections. All these things ensure that your car battery stays in good condition and the position to jump start, or replacing the battery too early does not arise. Additional tips, we provide the guide page on how to restore a car battery. Now that you know the nickel-cadmium battery advantages and disadvantages, you will have a more informed decision if you should get this kind of battery or not. If you have more questions about this type of battery, just email us, and we can send you more information about nickel-cadmium batteries in the future.